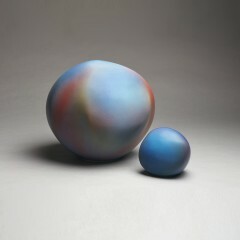 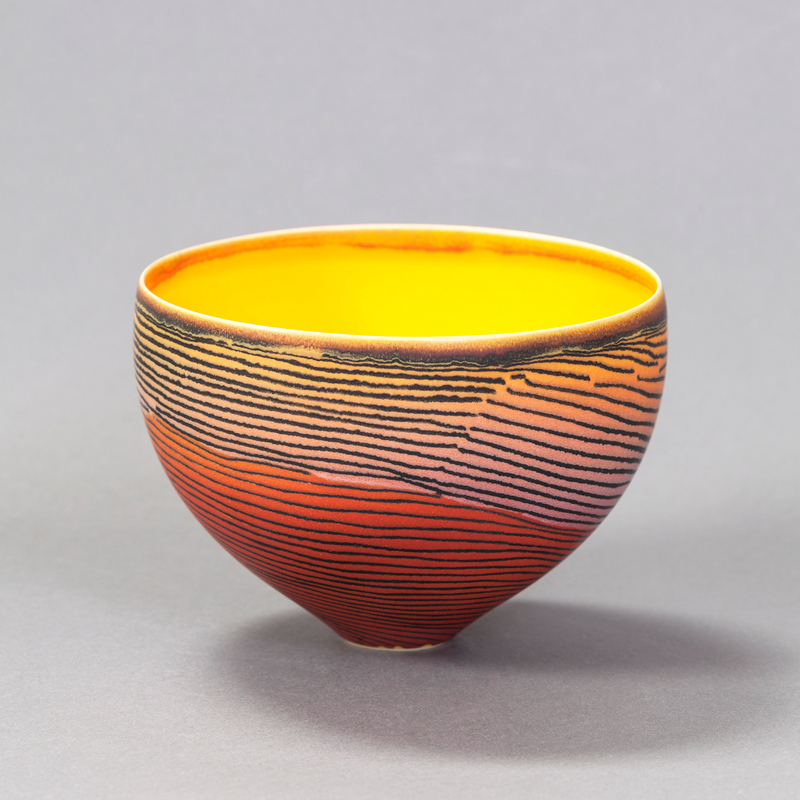 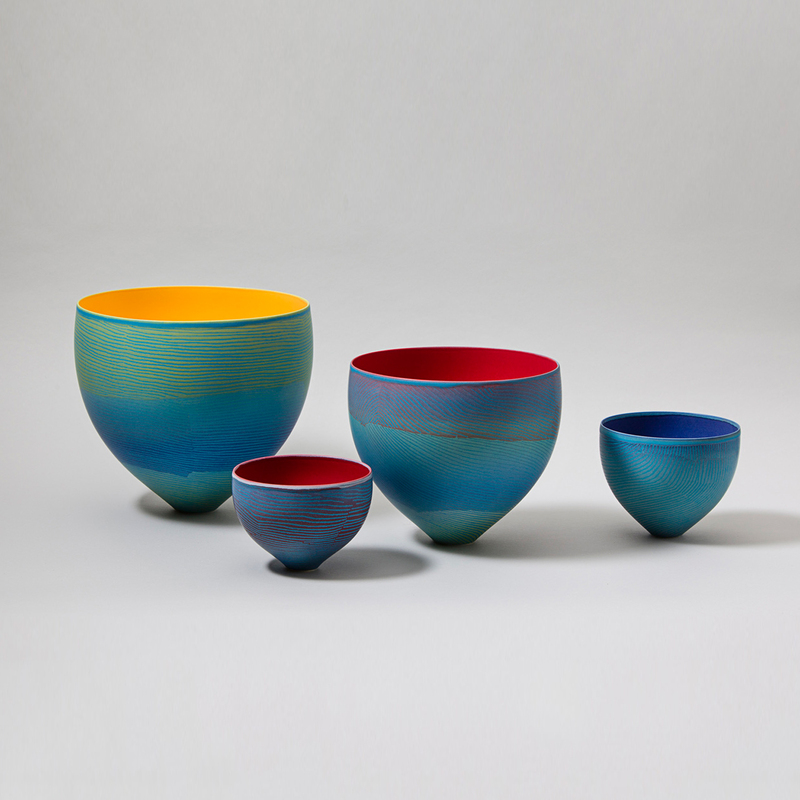 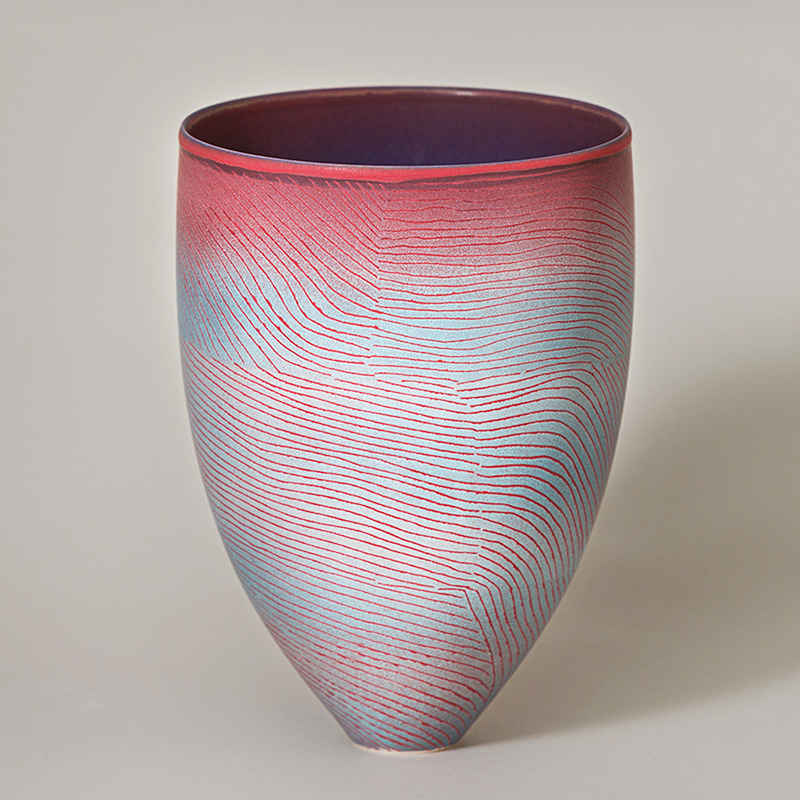 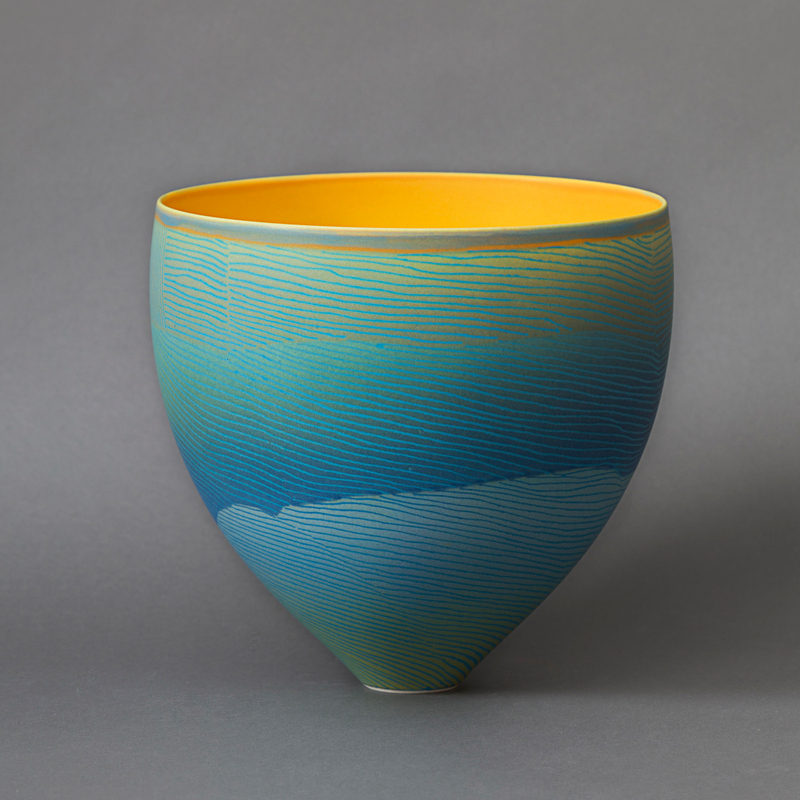 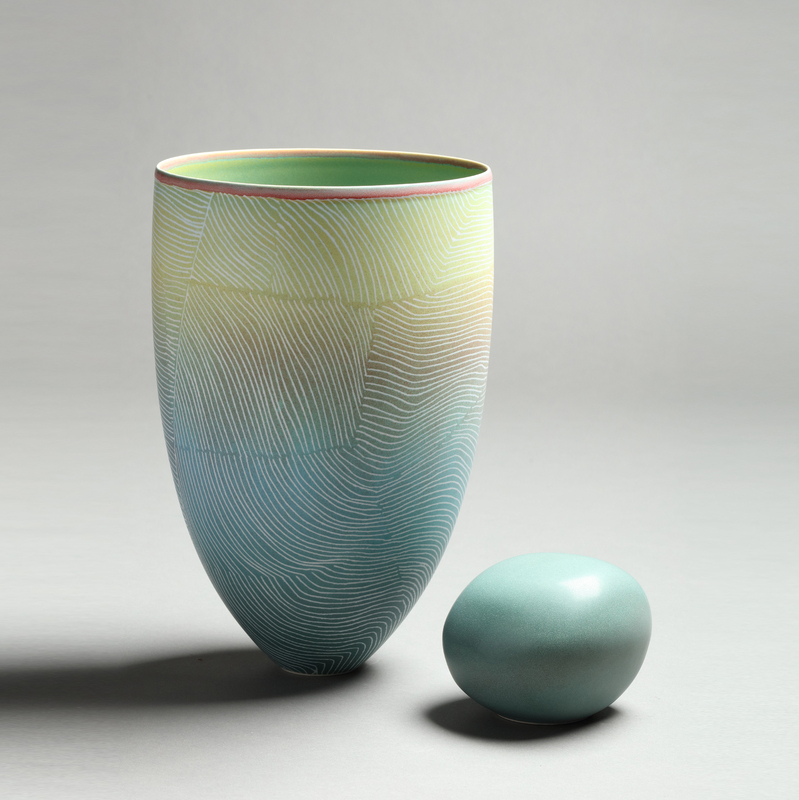 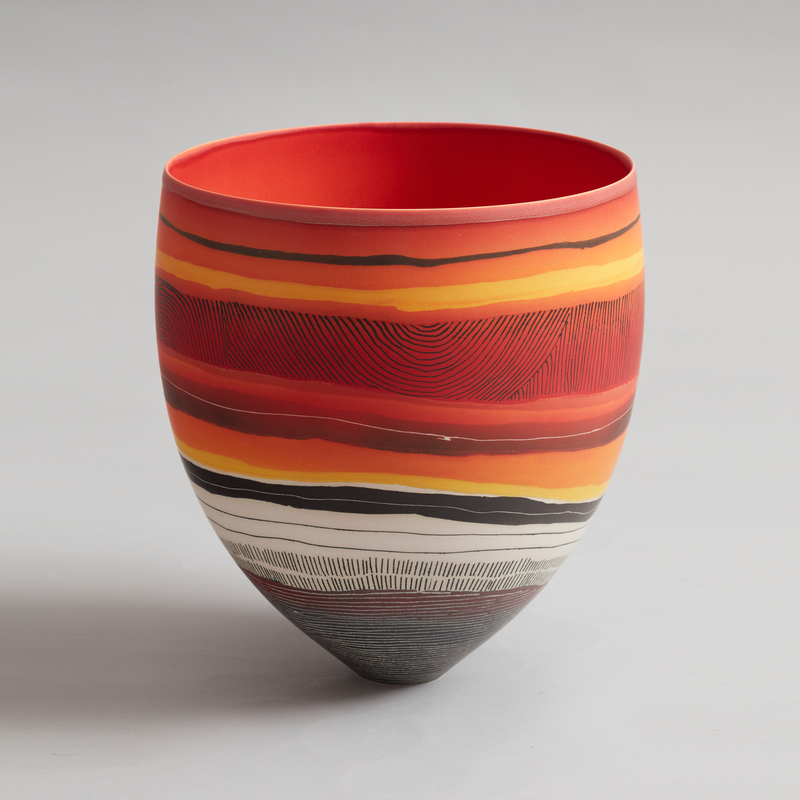 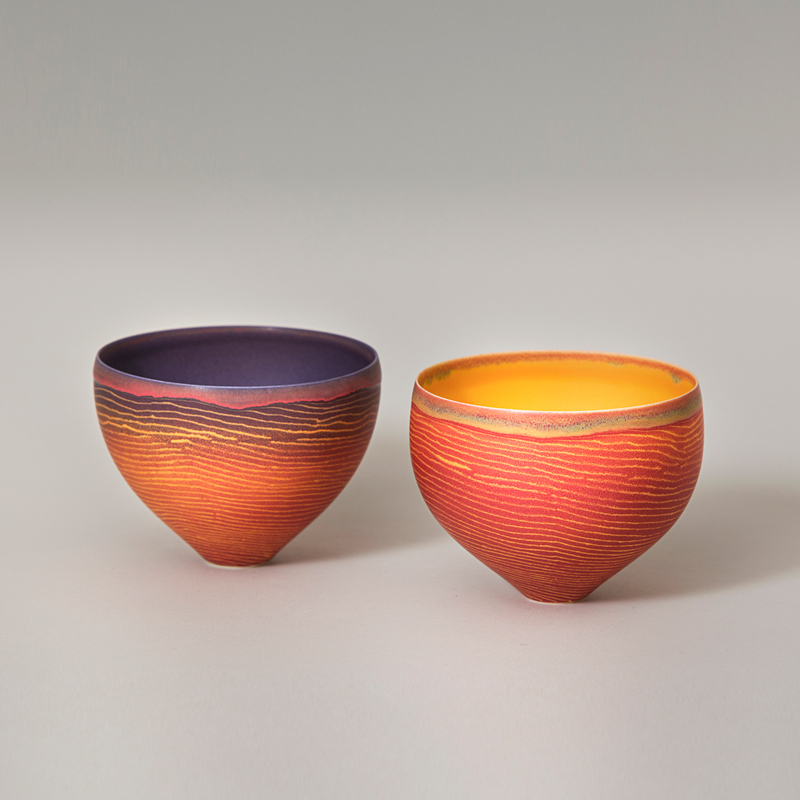 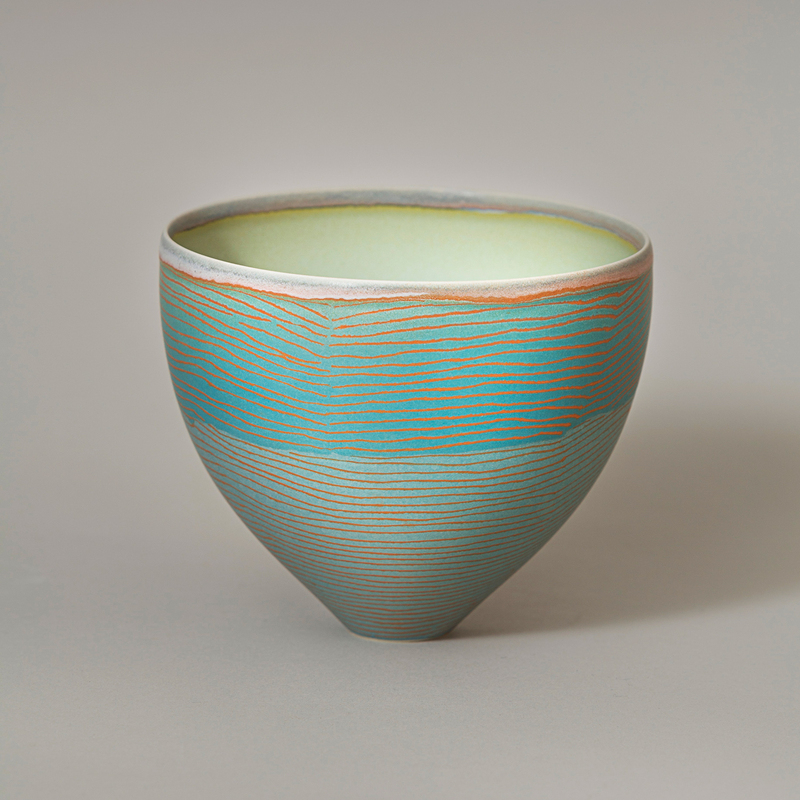 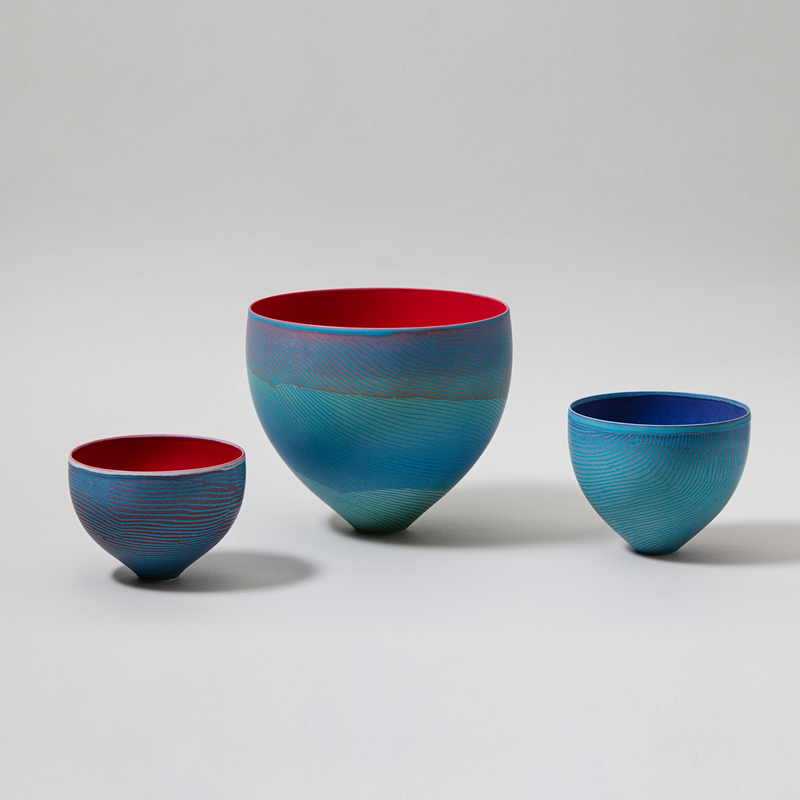 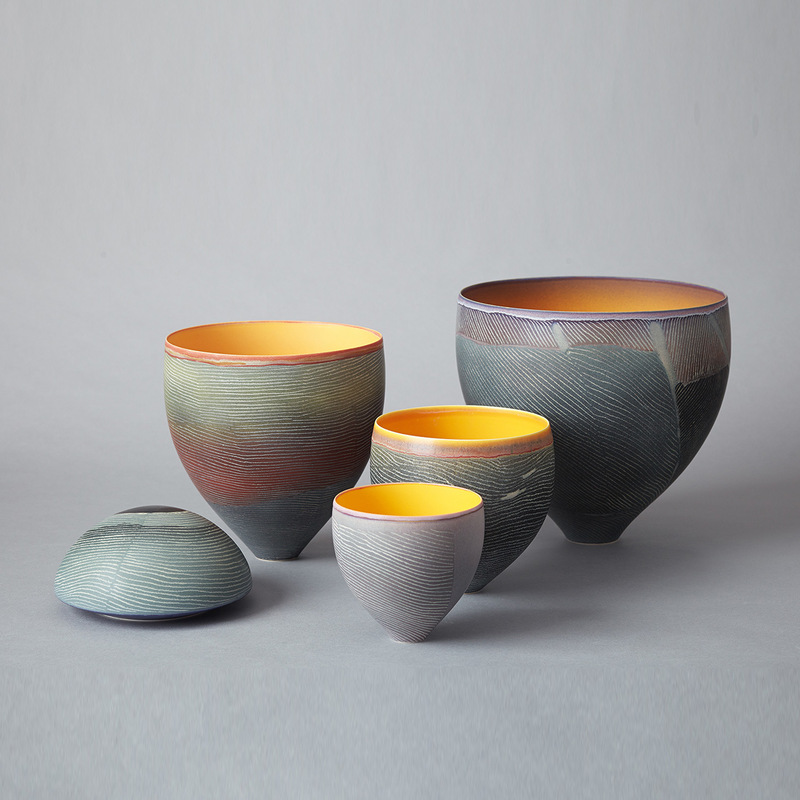 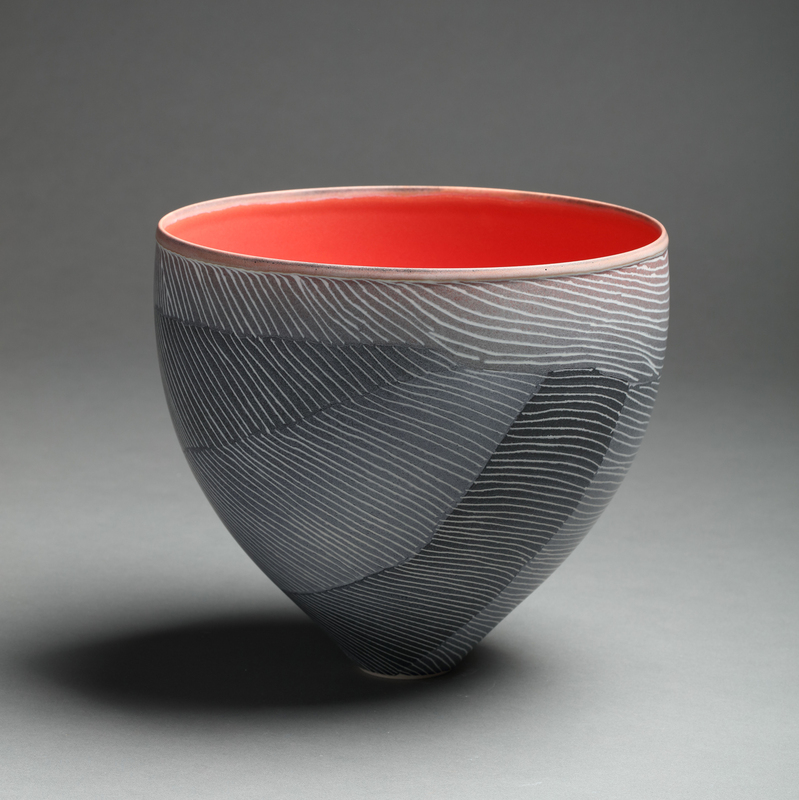 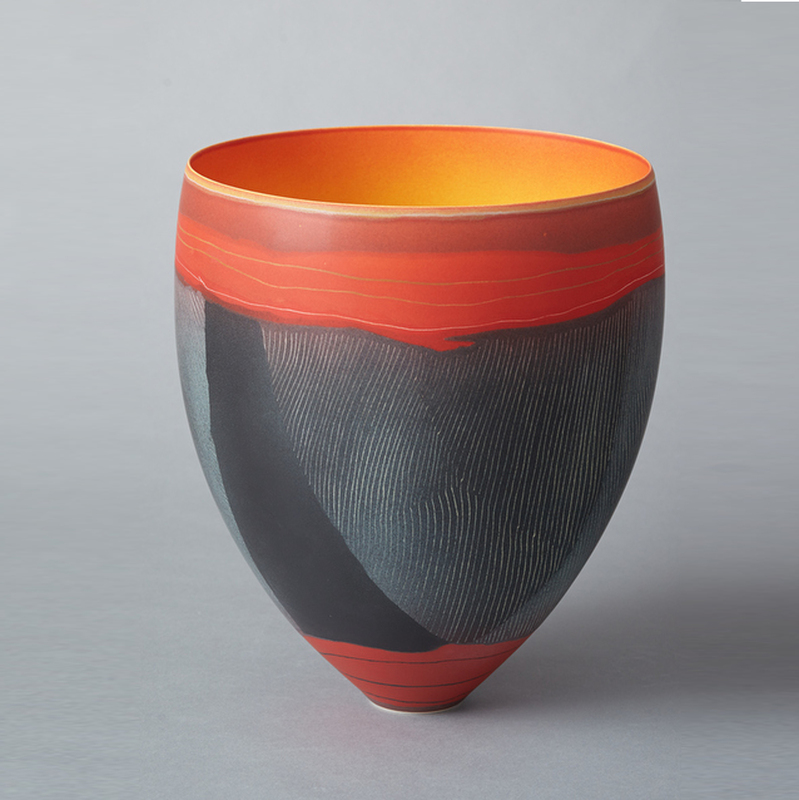 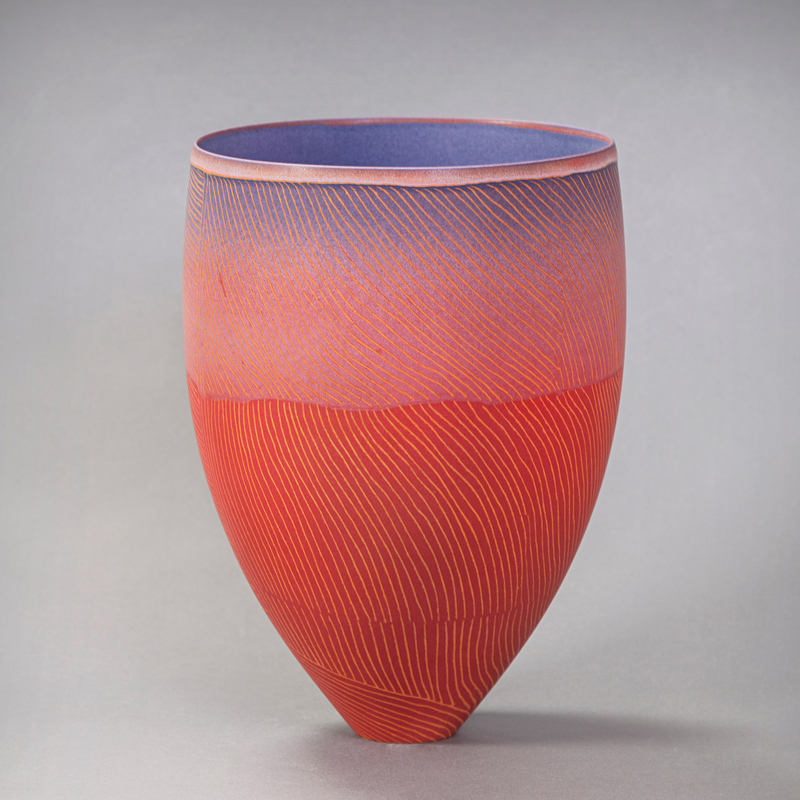 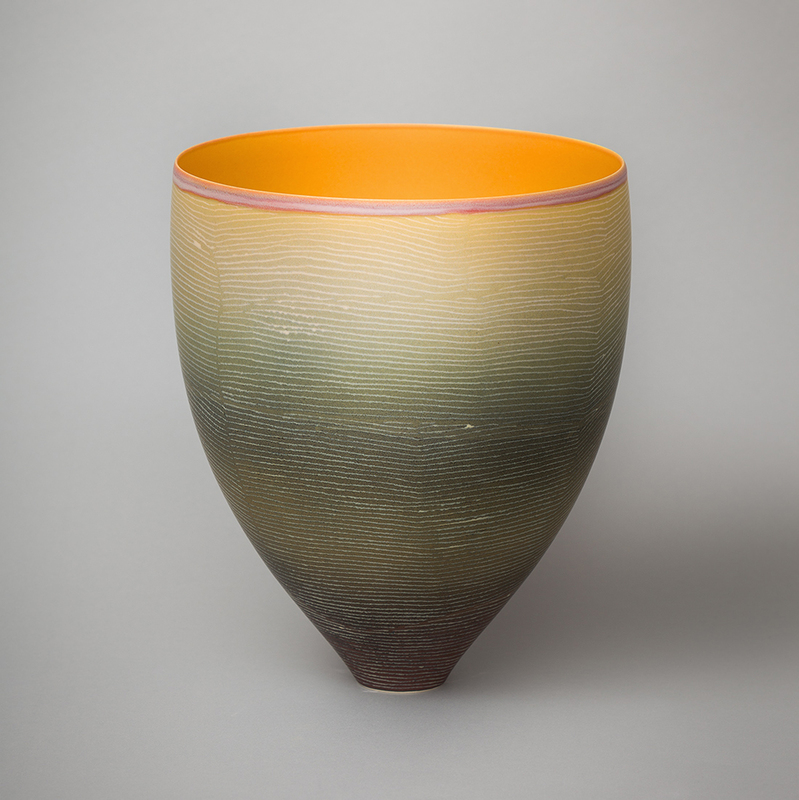 Pippin Drysdale is an acclaimed Australian ceramic artist whose International profile has seen her art works represented in museums, galleries and private collections worldwide. 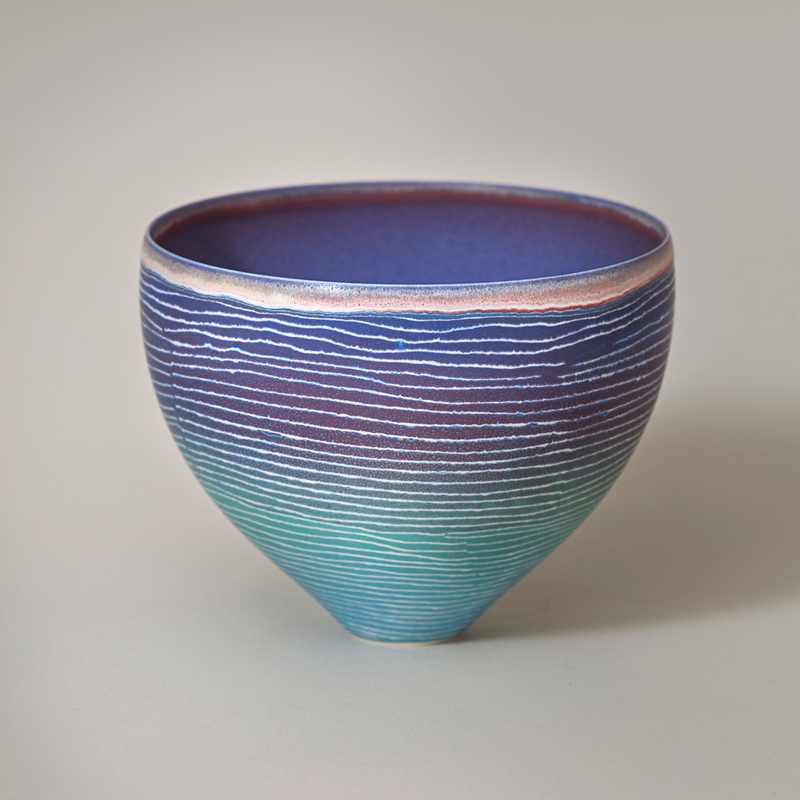 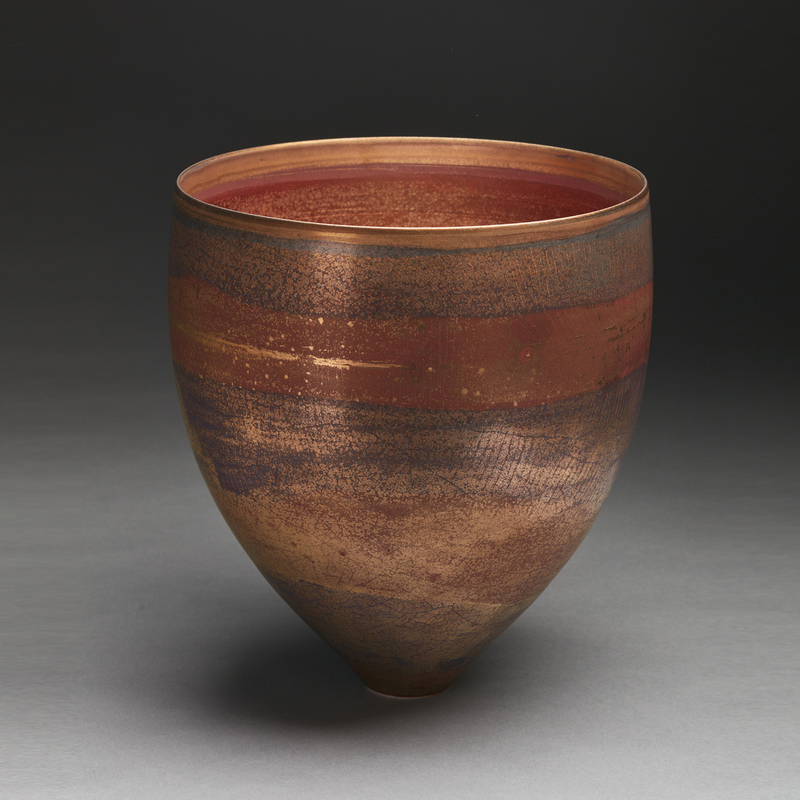 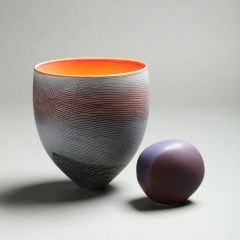 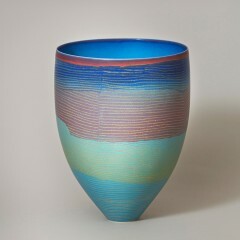 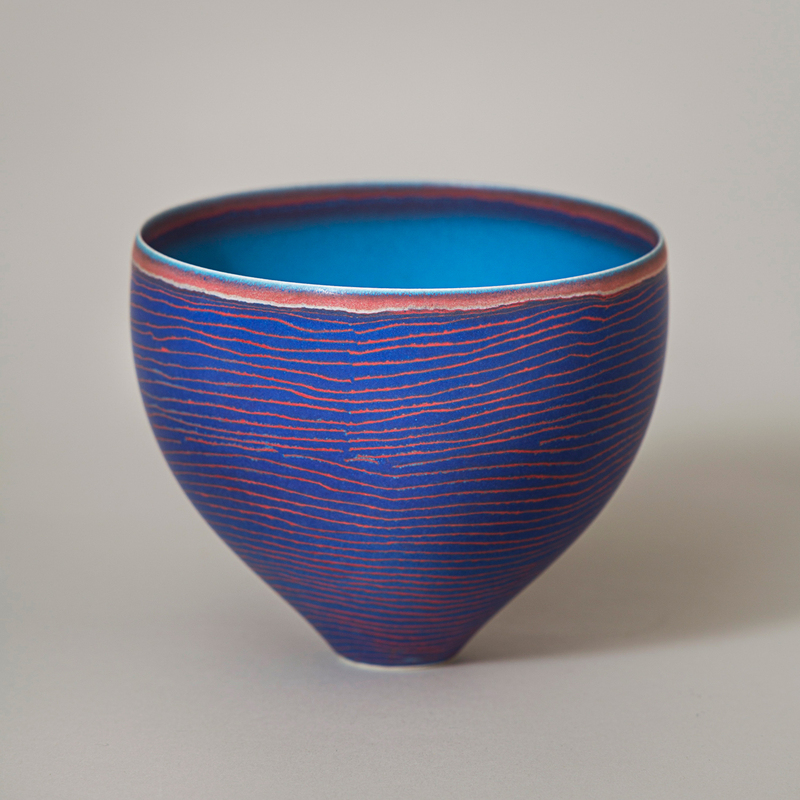 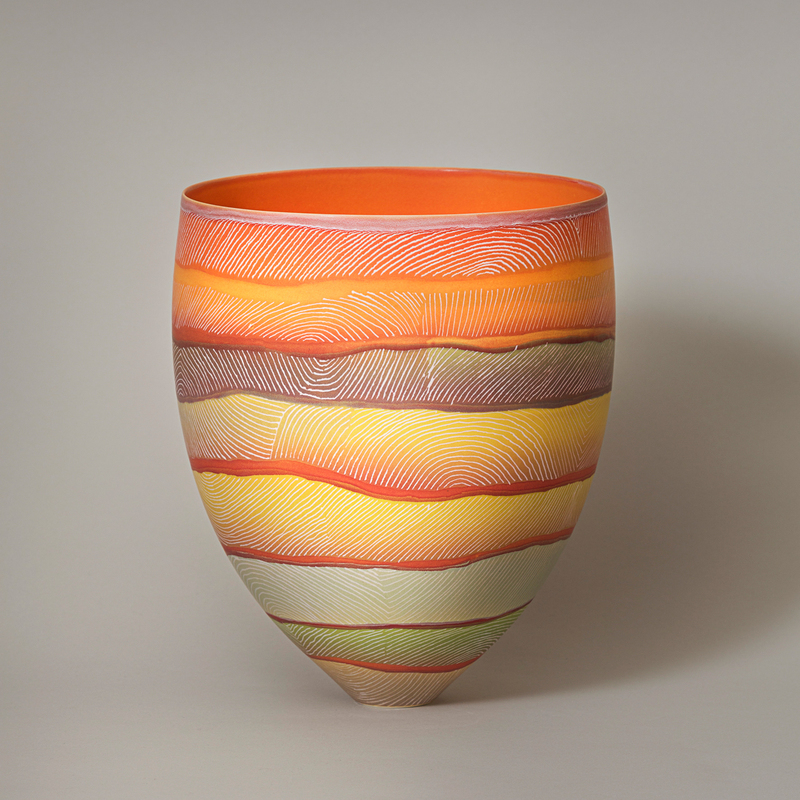 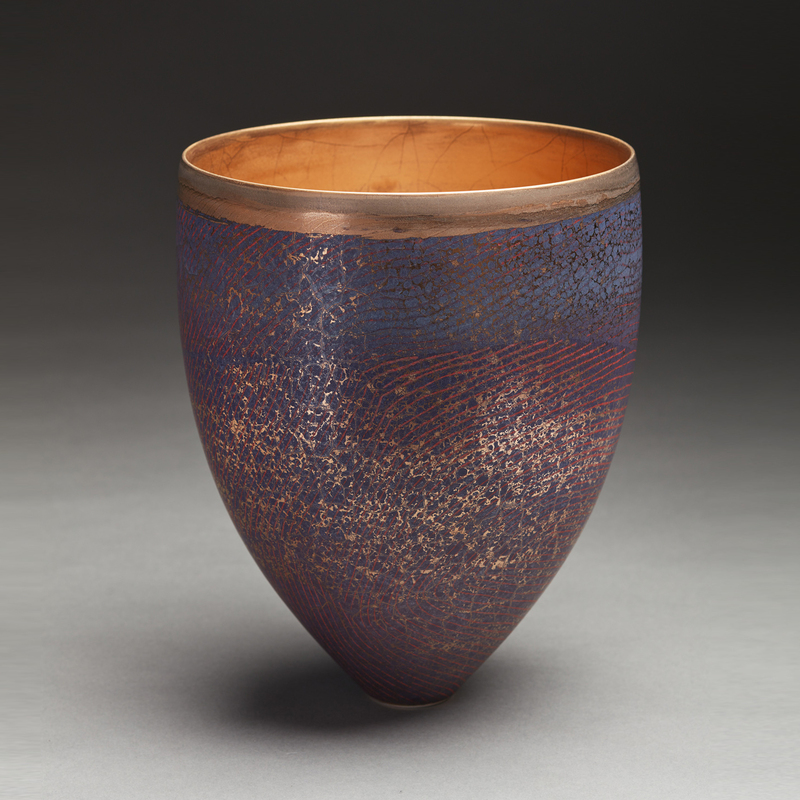 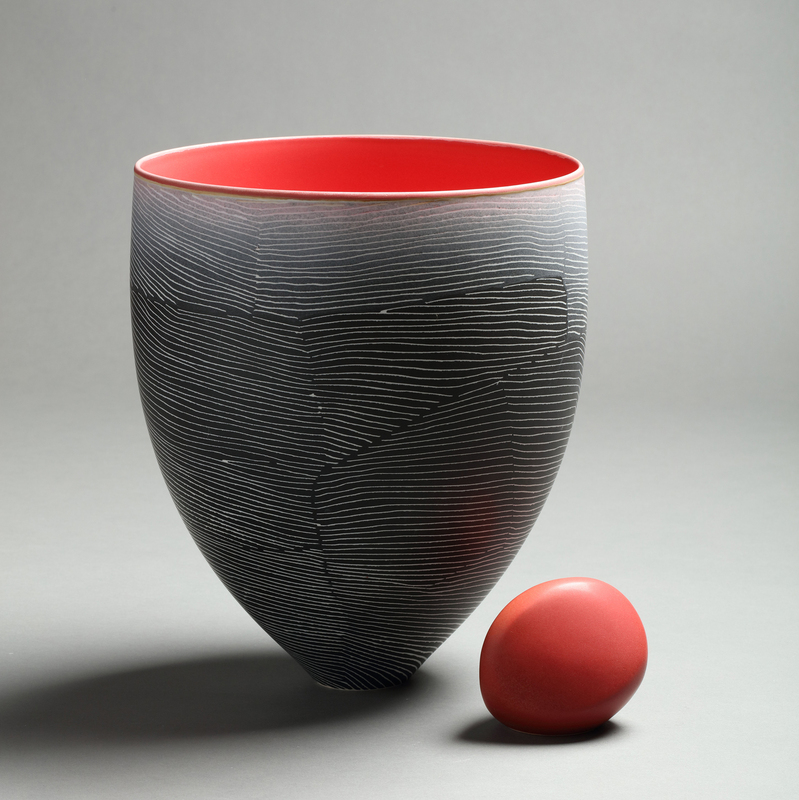 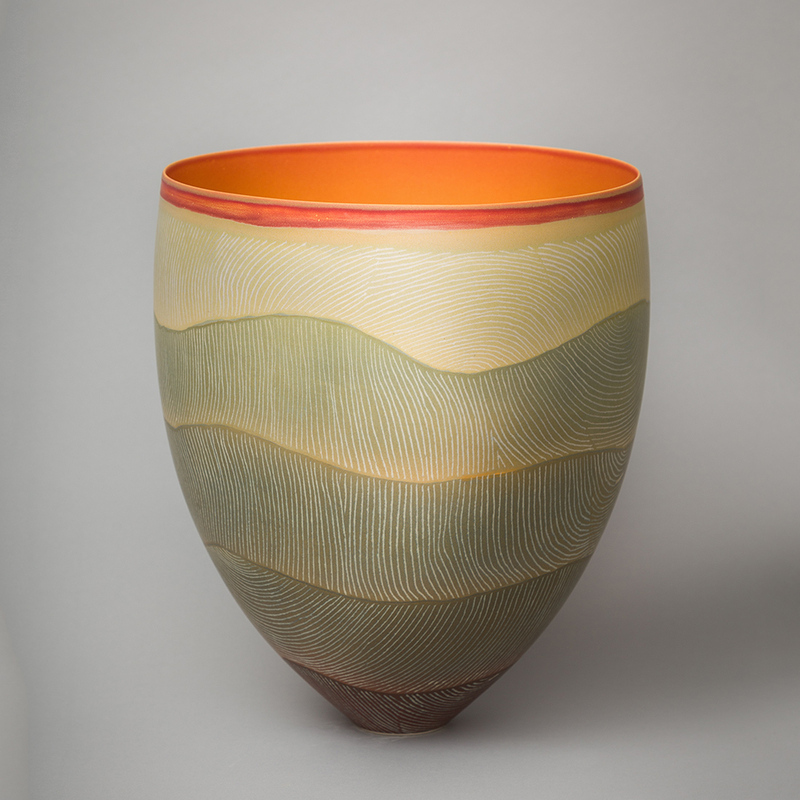 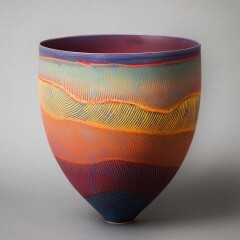 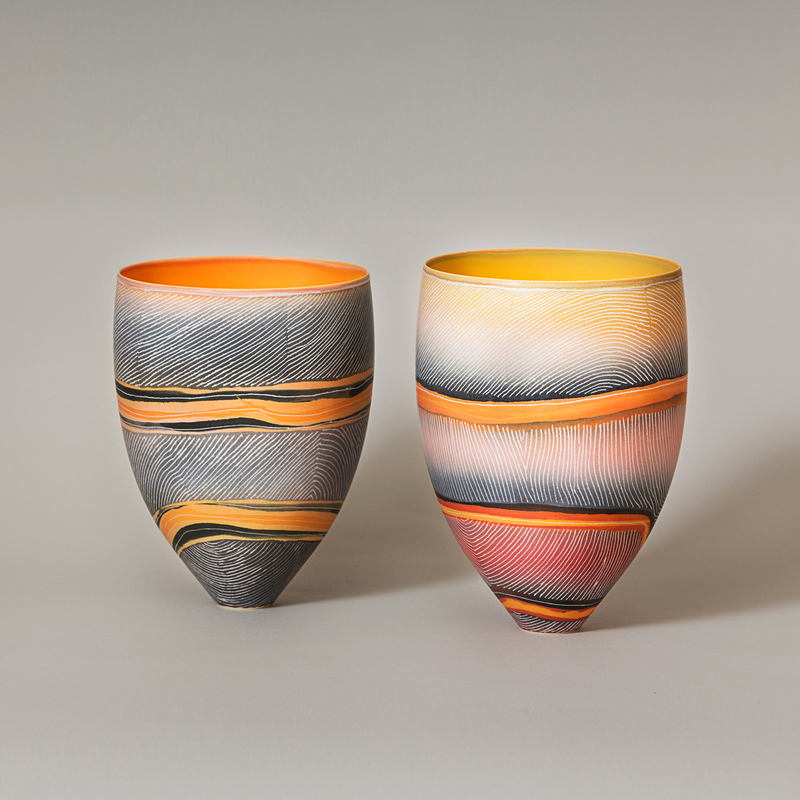 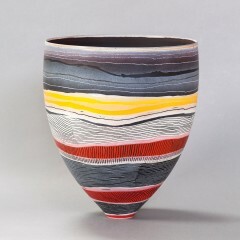 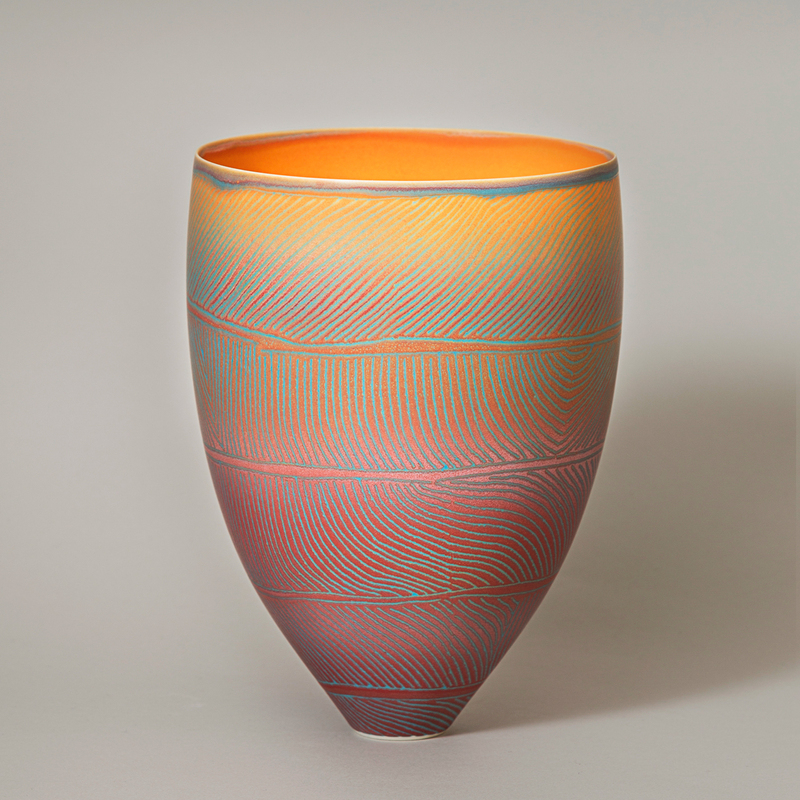 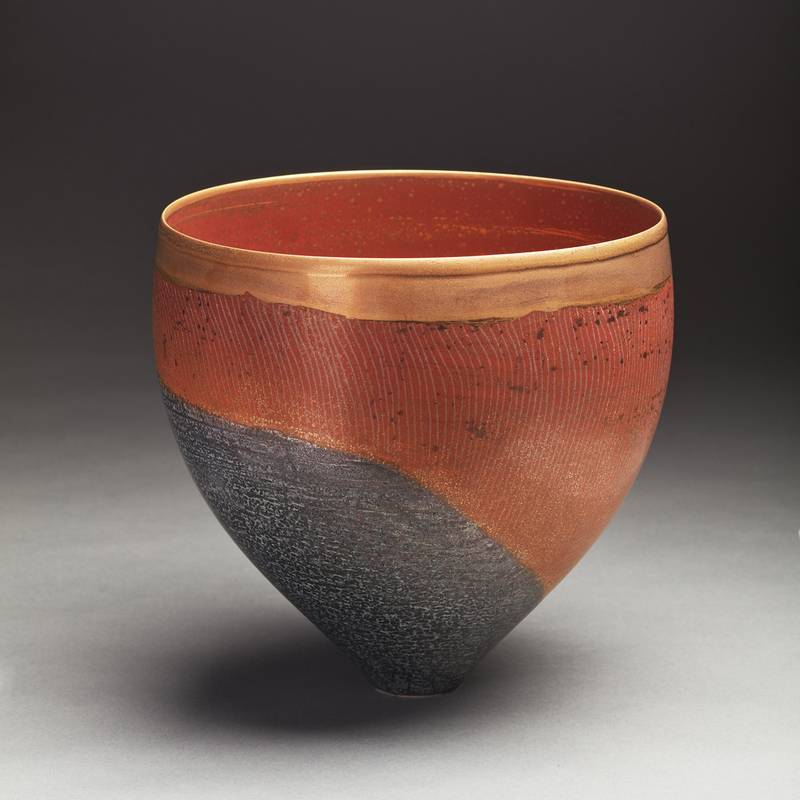 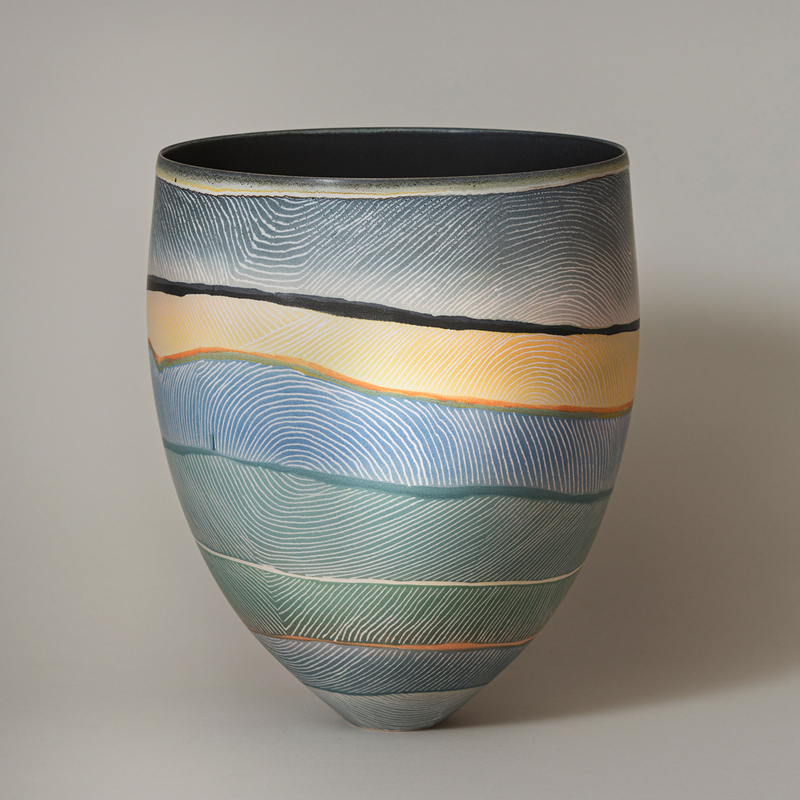 A Diploma in Advanced Ceramics, Western Australia School of Art and Design, 1982, followed by a Bachelor of Art (Fine Art) Curtin University of Technology, 1985, grounded Pippin in her chosen career, and over the forty years of arts practice, she has developed and refined her craft. 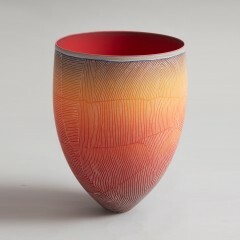 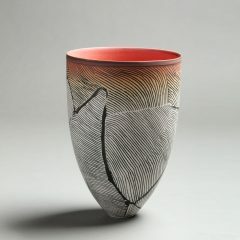 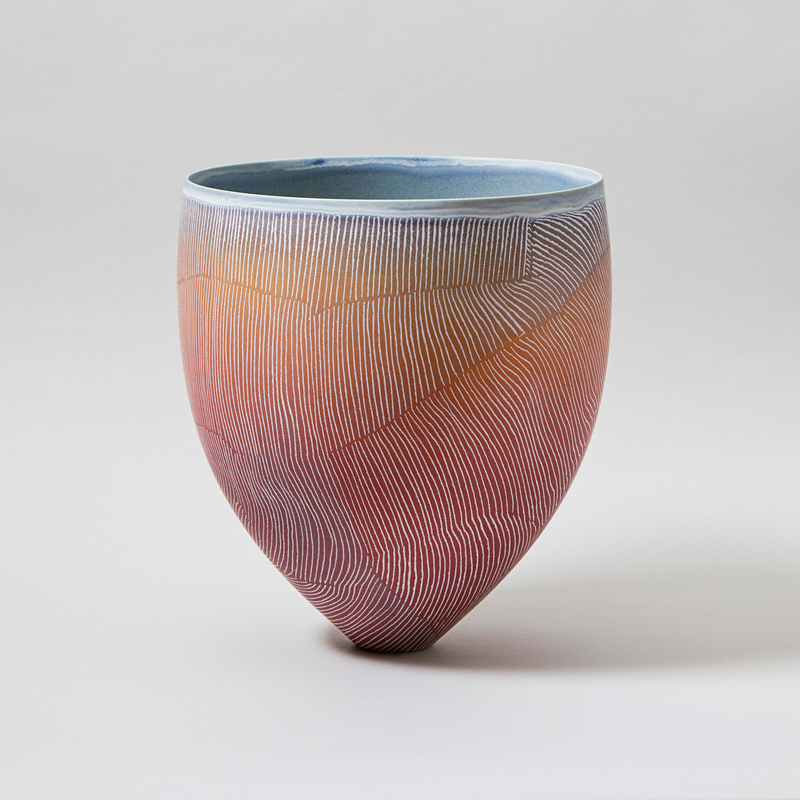 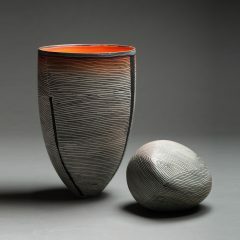 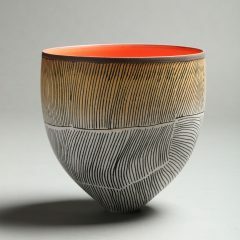 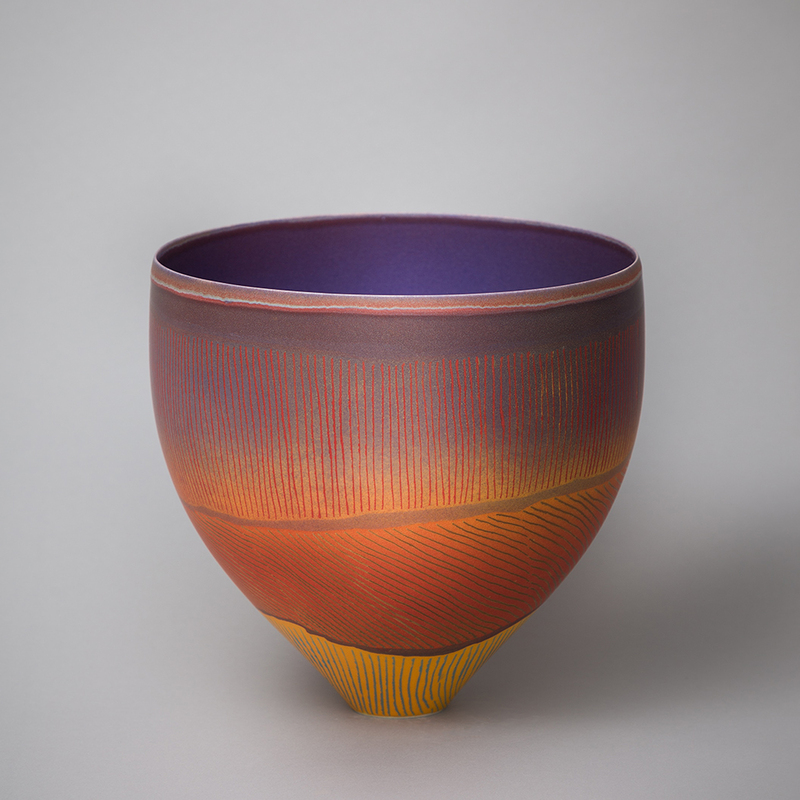 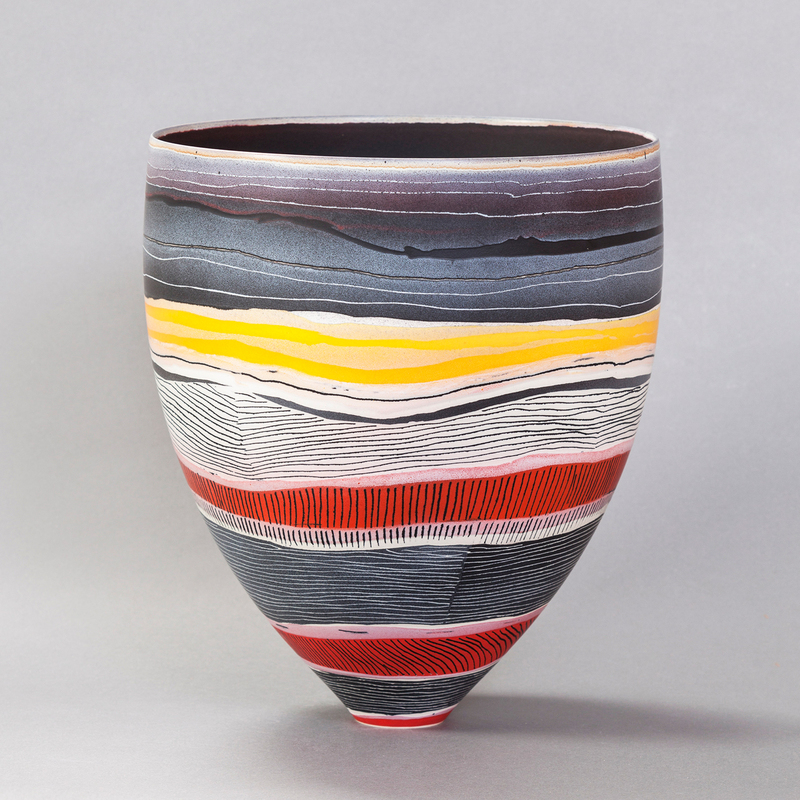 In 2007 she was awarded a Master of Craft, Craft Australia, New South Wales and in 2015 the Western Australian Government conferred on her the Living Treasure Award. 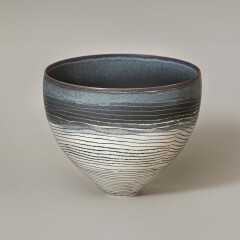 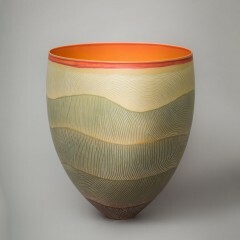 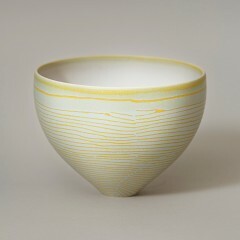 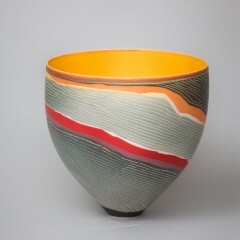 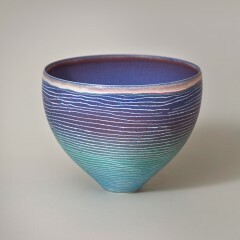 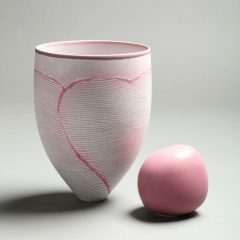 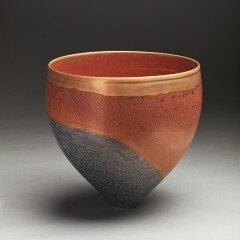 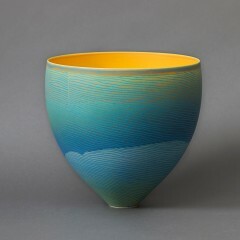 In the pursuit of excellence in her craft, Pippin has travelled and studied extensively throughout the world, spending time at the famous Anderson Ranch Art Centre in Colorado, USA; Deruta Grazia Maioliche Pottery in Perugia, Italy; Artists’ Union of Russia, Tomsk University, Siberia; Banff Centre for the Arts, Calgary, Canada; and Pakistan. 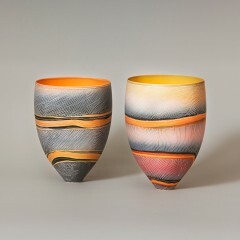 She has worked alongside many revered and outstanding artists. In her formative years Pippin was given much freedom to explore the wide-open spaces. 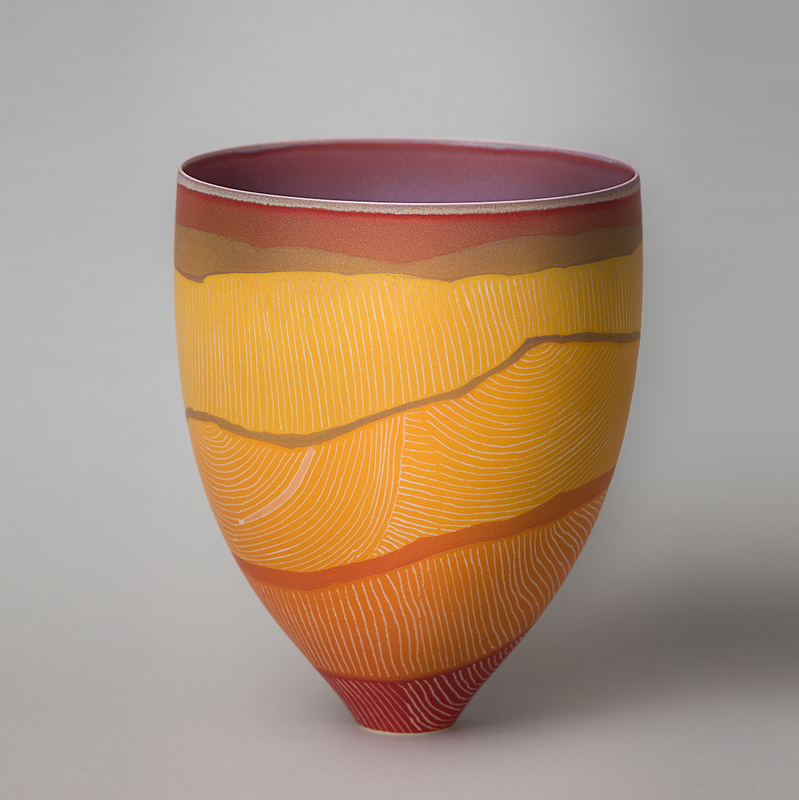 The Swan Coastal Plains and The Darling Scarp in Western Australia was a playground of ocean, river and ranges. 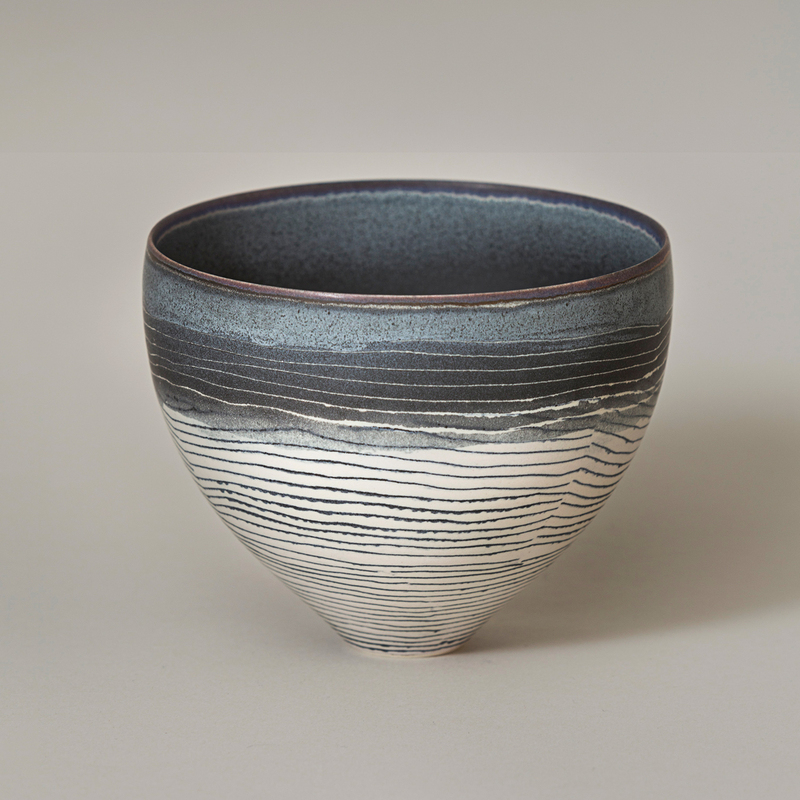 Seascape, Landscape and their geological formations have amazing visual potential and Pippin has interpreted and reinterpreted these in a body of work that has revealed a constant transition. 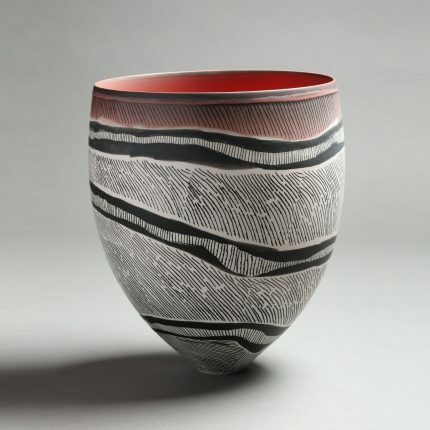 She has always seen the form as a three dimensional canvas, and to that extent, the form dictates the surface, but it is the translation of the intuitive response she has to her surroundings and her experiences that makes her work so compelling. 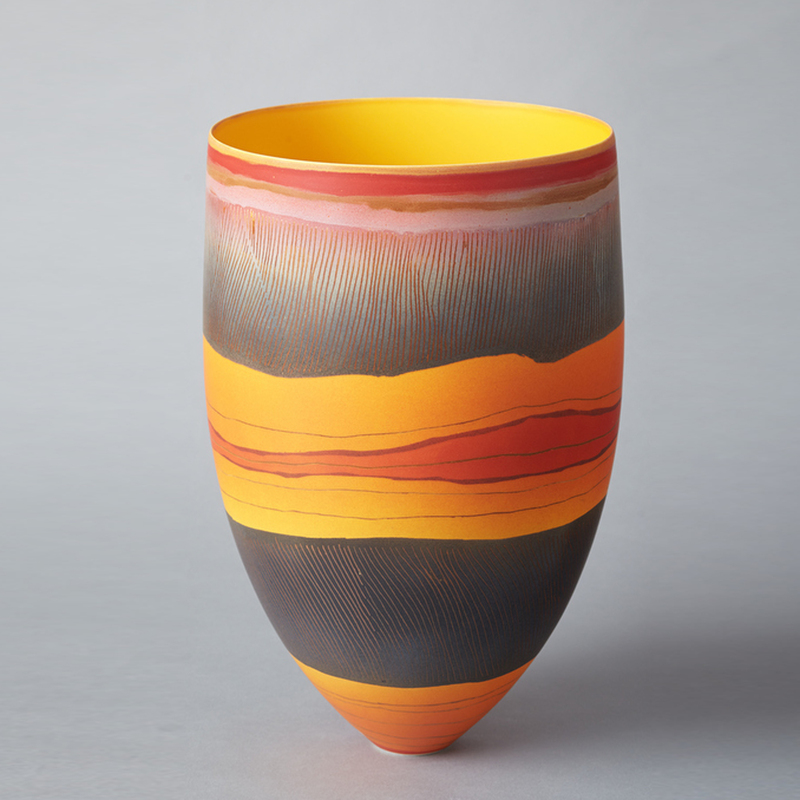 Retrospectively, one can see each phase of her creative process and its inspiration, but it is the Australian landscape that is the dominant influence in her work. 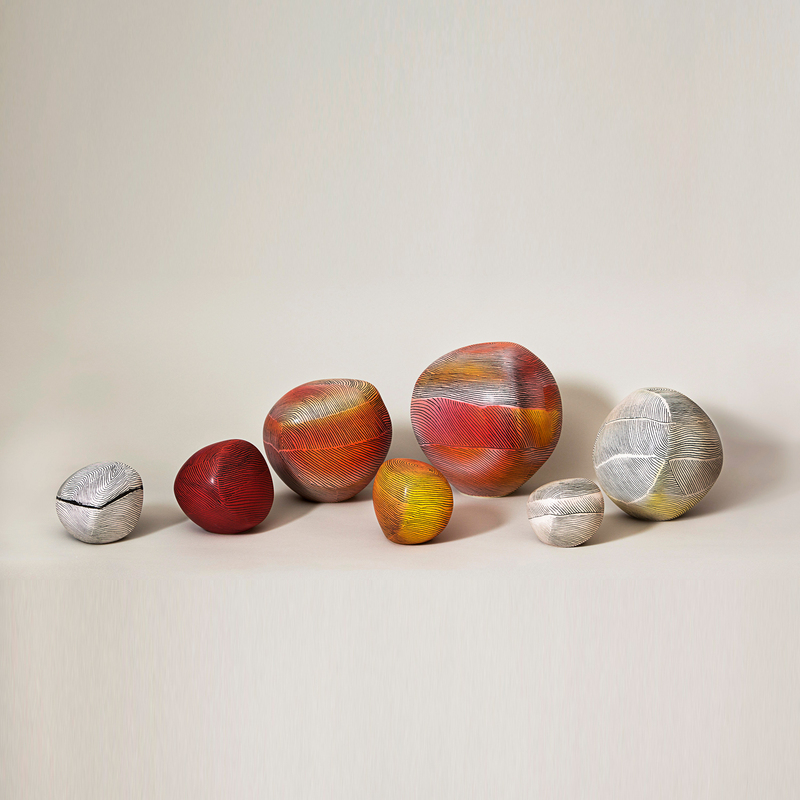 Her Eastern Goldfields, Tanami Tracings and Devils Marbles Series are testament to this. 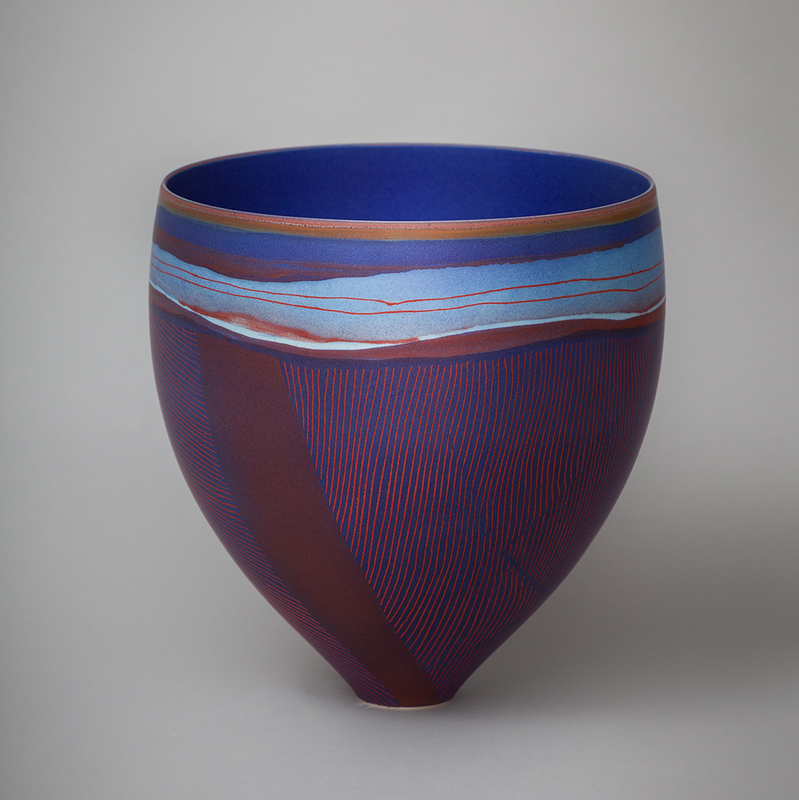 Through her lavish use of colour and lustres and her precision of line, she has captured the minutiae of mapping a vast and varied landscape. 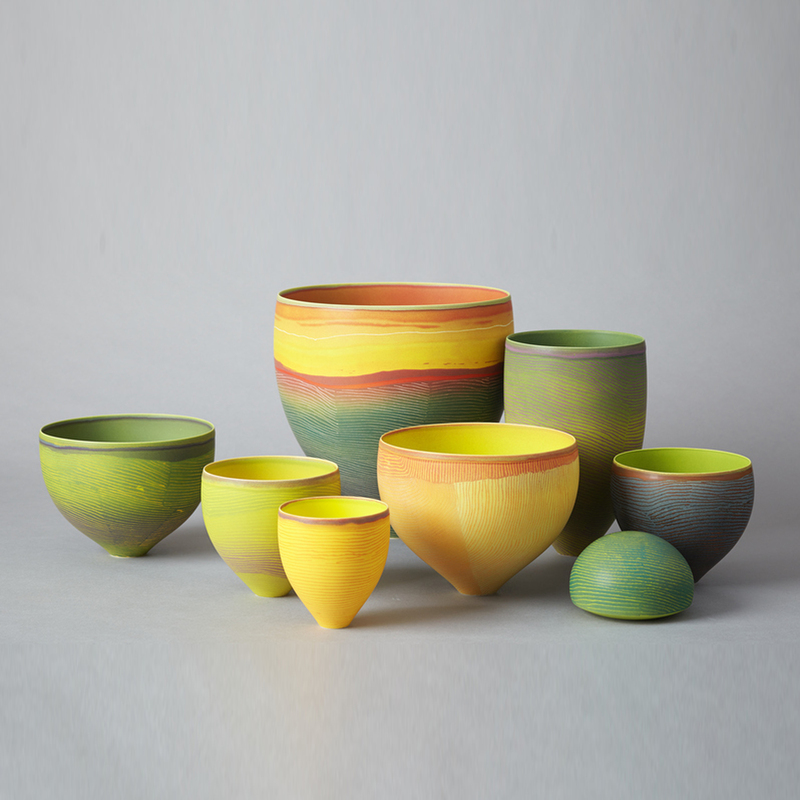 Pippin works from her studio in Fremantle, Western Australia, with a collaborative team, especially her wonderful thrower, Warrick Palmateer.